A second session has been added on Sunday, June 2nd. Click this link for more information. 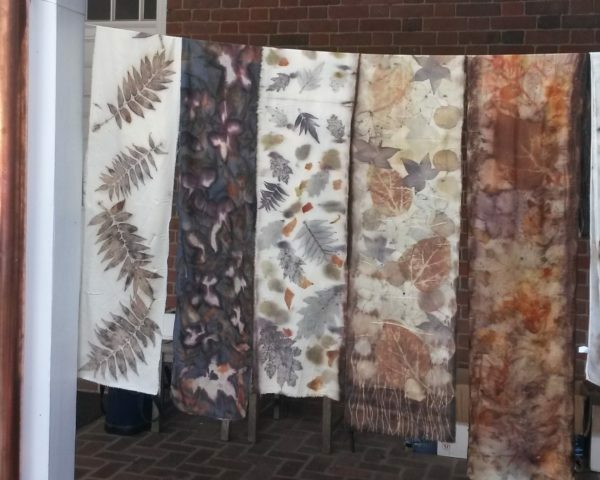 Create stunning silk scarves using leaves and other natural materials in this one-day workshop. Learn how to bundle and wrap your fabric and plant materials so that your prints come out clearly and with maximum color. Discover how color-shifting occurs in the dye bath, how mordants assist the dye process, and how different fabrics and techniques affect the resulting color. Students will complete two full-length silk scarves. Bring your lunch.